A-Rank (Fundamental: 1.3/3, Valuation: 3/3) triggered our momentum algorithm for the second time this month. 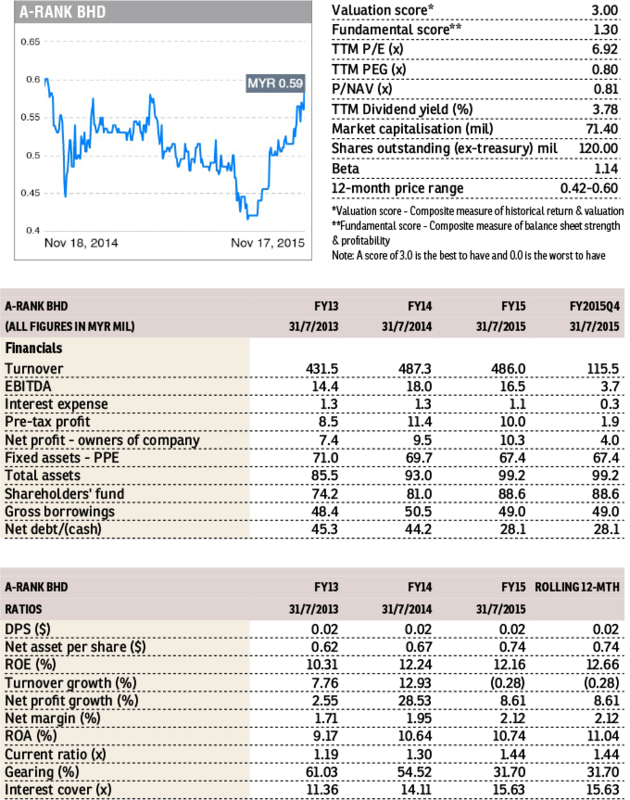 The stock gained 2.5% to close at a one-year high of 61 sen yesterday. 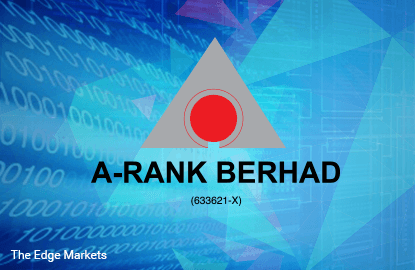 The company declared a first and final dividend of 2.25 sen last Thursday, which translates into a yield of 3.7% at current price. The dividend will go “ex” on December 8. For FYJuly2015, revenue was marginally lower at RM486.0 million, due to lower sales volume, but largely offset by higher average selling prices following increase in average raw material costs. Profit before tax fell 12.5% to RM10.0 million, hit by impairment losses on inventories of RM1.4 million and property, plant and equipment written off of RM1.7 million. A-Rank is principally involved in the manufacturing and marketing of aluminium billets. Domestic market accounted for 69% of its revenue in FY15, with the remainder derived from exports, including to Africa, Europe, and South East Asia.